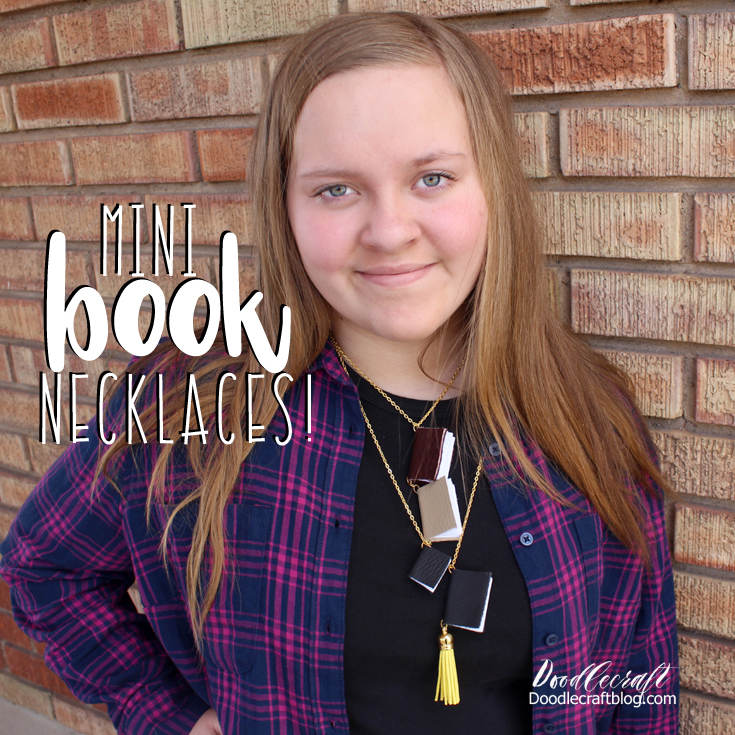 Doodlecraft: Mini Leather Book Binding and Necklace! Mini Leather Book Binding and Necklace! This is perfect for this Beauty and the Beast week! 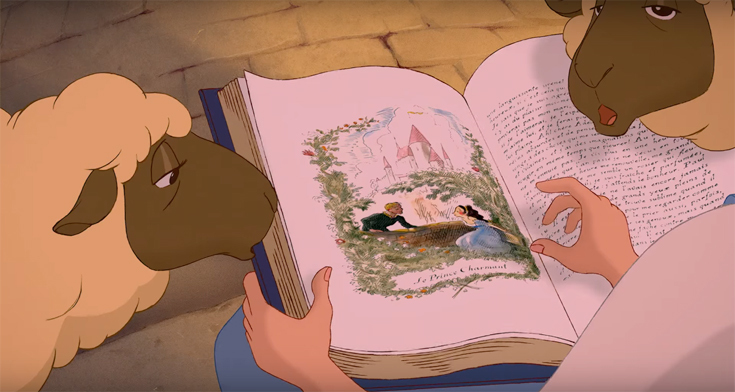 What book do you think Belle is reading? Internet speculation thinks either Aladdin or Sleeping Beauty...what do you think? Lots of people think Aladdin because it was the next animated movie that Disney released. I made these into 2 necklaces, so they can be worn stacked or individually. Here's a video of the process...following step by step pictures! You could actually use these as little journals! Take 6 pieces of paper and fold them in half. Poke the pin or awl through the crease about 1/2 inch from each edge. Thread the needle with the thread. Poke from the outside of the crease to the inside of the fold. And back through the other hole. then back through the other. Tie a nice square knot. Next you will need the leather piece for the cover and the rubber cement. leather around the paper and make sure there is enough leather to open it. Put some rubber cement on the front and back piece of paper. And just on the 2 sides of the leather. No glue on the spine area. Then place the paper down on the leather. Fold the leather over and match it on the other side. Leaving the gap on the spine. just about 1/8th inch from the edge. Use the pliers and attach a jump ring. Add a tassel or charm if you want! Then add the chain and use a jump ring to secure the ends together. Attach more books or attach a little pencil! Fill them to your hearts content! Wear them stacked or separate! "With her nose stuck in a book!" Like, follow, pin, share or comment! Check back for more fun Beauty and the Beast crafts! Well the picture title in Belle's book says "The Prince Charming" (in french of course).